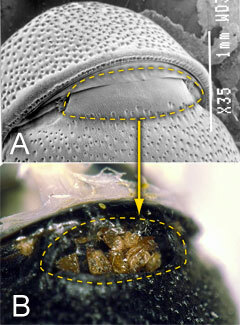 Okabe K, Makino S. (2008) Life cycle and sexual mode adaptations of the parasitic mite Ensliniella parasitica (Acari: Winterschmidtiidae) to its host, the eumenine wasp Allodynerus delphinalis (Hymenoptera: Vespidae). Canadian Journal of Zoology 86: 470-478. 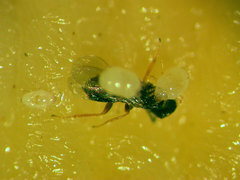 Okabe K, Makino S. (2008) Parasitic mites as part-time bodyguards of a host wasp. Proceedings of the Royal Society B (Biological Science) 275: 2293-2297.